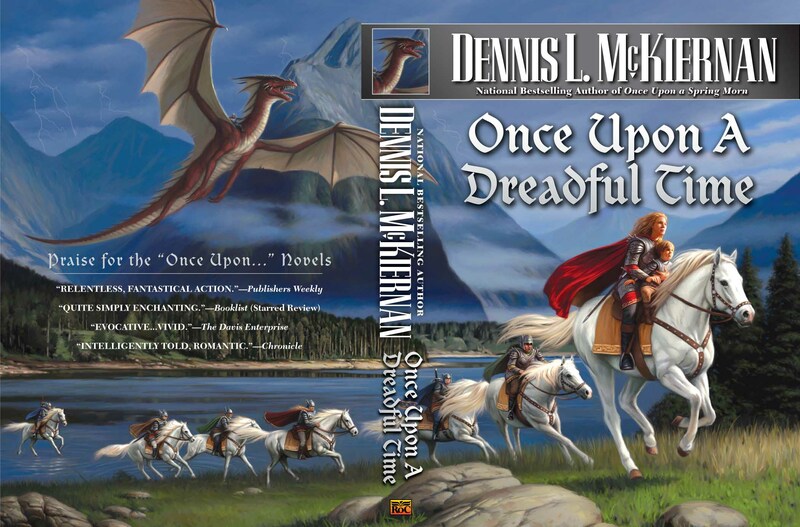 Foreword to "Once Upon A Dreadful Time"
This is the fifth and final tale in my five-book Faery series. The first four—Once Upon a Winter's Night and Once Upon a Summer Day and Once Upon an Autumn Eve and Once Upon a Spring Morn—were based upon known fairy tales. Oh, each of those known tales, as penned by those who collected them together, was but five to ten pages long, but in my tellings they became quite lengthy novels. But this fifth story has its origins within the events in the previous four tales. The book does stand alone, however I do recommend that the first four be read ere taking on this tale. And, whereas the first four stories are at base love stories, this fifth one is a tale of war, though love and lovers are herein. Oh, I did not leave out the knights and witches and dragons and ogres and giants and other fantastic beings, for they are scattered throughout the scope of this tale as the many heroes and heroines struggle on. Yet this story is a bit different from the others, though wonder and marvel yet abound. But it is the culmination of the other four, for they all led to this tale. And as with the first four tales, this story, too, contains a sprinkling of French, a very romantic language. Would that I were one of those Keltoi bards of old to stand before the fire and tell you a grand and sweeping saga, one that would not only hold you rapt and cause you to laugh with joy and gasp in alarm and weep with sadness and cry out for vengeance at times. But we have no fire, and I do not stand before you, and I'm certainly not a Keltoi bard. Regardless, I do hope you enjoy the story held within these pages.